"Political Correctness" - PC - is the statist dogma that certain speech, and speakers, may be proscribed by political authority whenever the speech is deemed "hurtful" to some specified group "protected" by the dominant political power. In practice, this means at the whim of bureaucrats in govt, NGOs and crony corporations who have access to power. This is the antithesis of each individual's fundamental human right to Freedom of Expressive Association, and also, by the way, to the First Amendment to the US Constitution, for those under its protective jurisdiction. Even when couched in academic terms and practiced in the protected environment of the crony universities and institutions, this control ultimately rests on the coercive power of the state, even if initiated by supposed non-state actors. But of course, nothing to worry about, say the UK censors: "British officials say they use the program to refer videos to YouTube that they believe have violated the U.K.’s Terrorism Act. ... More than 90% of the videos identified by super flaggers are either removed for violating guidelines, or restricted as not appropriate for younger users..."
In the few days since the exposure of this control system we have seen increasing reports of videos posted by critics of this govt or that govt disappearing, without any opportunity to rebut the often absurd "terrorist" connection. In recent months we have noticed an increasing attempt by crony corporatists and their journalist or academic toddies to extend the evil notion of PC speech control to issues of Health Freedom. Even in so believed-to-be stalwart defenders of speech as Reason Magazine  and The Guardian Newspaper  , statements have appeared calling for banning "vaccine deniers" oe "vaccine refusers" or "anti-vax" ideas from posting rebuttals to pro-vaccination assertions from the cronies. Speech about Health Freedom is under threat. The history of PC Medicine, the official govt licensed and approved method for talking about and doing something about disease, is repeatedly pocked with examples of how very wrong govt medicine has been over the centuries. Without going back as far as the Herbalists' Charter of Rights  just look at the modern era. Start with the Doctor in Vienna who was hounded from the profession for daring to suggest to his fellow physicians that they wash their hands... and many thousands of mothers and babies died over the following generation until hygienic practices slowed the spread of infectious diseases. Consider that somewhere around 50,000,000 Americans died of heart conditions between the time the world first learned of the relationship between Vitamin E and heart health  and when the medical profession, just recently, began to accept that this food is essential to heart health. How can health-conscious people world-wide protect their access to "second opinions" -- to dissenting views, that may, as in the case of vaccines and other Genome Disrupting products of crony corporatism (see the Five Big Lies, www.DrRimaTruthReports.com) just save your life and the lives of those for whom you care. It's not just about speech: it is about life. Your health keepers have to understand the issue and confront it not just to keep truth safe, but to keep YOU safe and, ultimately, themselves. If they are afraid to speak the truth to you about what you need, and what you do not need, about what is effective and what is not, because of PC and professional censorship, they cannot deal frankly and openly with your health and practice their arts properly. How can they keep you safe and protect your life? By taking the Health Keepers' Oath, www.HealthKeepersOath.org, and adhering to it. By fearlessly speaking truth both to power AND to patients! And if your health keeper will not do so, get a new one! The sooner we stand up to the PC concept bullies, the sooner they will back off and find some other pit of madness in which to flail about. Those who seek to impose PC Tyranny on Speech about Health Freedom are, at best, misguided "useful idiots" for the global elite's market control agenda, or are, at worse, intellectual thugs willingly supporting that coercive intent. Starting later last year, FDA began reviewing the statute and the short, just several paragraphs, FAQs the FDA had issue on the topic the year after the Statute, although the comment period has been extended, as often happens with a controversial regulation offered under the Administrative Procedures Act. The new regulations both broaden the class of health care givers who can recommend Medical Foods (by clarifying that Medical Foods are not subject to "prescription") and tighten-up what constitutes a Medical Food. There is clearly no requirement that only physicians provide the evaluation and recommendation for the use of Medical Foods. Federal law continues to preempt state regulations of the use of Medical Food for the dietary management of medical conditions. This preemption is made more complete by the establishment of these further regulations, thereby further nullifying restrictions by state medical boards and legislation. 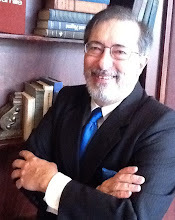 For example there was a Medical Board regulation in New Jersey that forbid NJ licensed physicians from earning more than a ten-percent return from selling his patients dietary supplements, if the vitamins were "intended to treat disease..." But if intended for the dietary management of medical condition, the use of Medical Food is taken out of the category of "intended to treat disease" and the limits thereupon. This guidance is intended to provide industry with a convenient place to find answers to frequently asked questions (FAQs) about medical foods. The responses to these FAQs address common questions about the definition of and regulations for medical foods. Some of the significant points made in the Guidance relate, for example, to the question whether formal medical prescriptions are required. FDA answered that question with a direct "No." ...a medical food must be intended for a patient who has a limited or impaired capacity to ingest, digest, absorb, or metabolize ordinary foodstuffs or certain nutrients, or who has other special medically determined nutrient requirements, the dietary management of which cannot be achieved by the modification of the normal diet alone. Medical foods do not have to undergo premarket approval by FDA. But medical food firms must comply with other requirements, such as good manufacturing practices and registration of food facilities. Medical foods do not have to include nutrition information on their labels, and any claims in their labeling must be truthful and non-misleading. Medical foods are not those simply recommended by a physician as part of an overall diet to manage the symptoms or reduce the risk of a disease or condition, and all foods fed to sick patients are not medical foods. Instead, medical foods are foods that are specially formulated and processed (as opposed to a naturally occurring foodstuff used in a natural state) for a patient who is seriously ill or who requires use of the product as a major component of a disease or condition’s specific dietary management. FDA does not interpret either the Orphan Drug Act or FDA’s implementing regulations at 21 CFR 101.9(j)(8) to require that medical foods be made available by prescription. Instead, the statute requires that a medical food be consumed or administered enterally under the supervision of a physician. 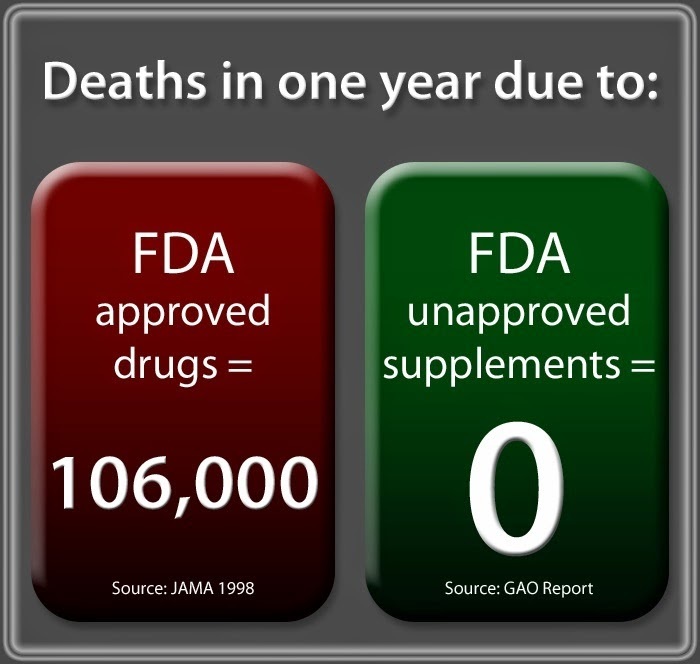 FDA considers this requirement to mean that the intended use of a medical food is for the dietary management of a patient receiving active and ongoing medical supervision (e.g., in a health care facility or as an outpatient) of a physician who has determined that the medical food is necessary to the patient's overall medical care. The patient should generally see the physician on a recurring basis for, among other things, instructions on the use of the medical food. FDA does not consider foods that are simply recommended by a physician or other health care professional as part of an overall diet designed to reduce the risk of a disease or medical condition or as weight loss products to be medical foods. The new Guidance does not materially change the provisions for recommending Medical Foods by health care providers, but now seems to suggest that any qualified health care provider can recommend Medical Foods, so long as they are "administered" under a physician's "supervision" (as that word is defined in State law). However, other Federal standards apply to the actual labeling and marketing of Medical Foods.